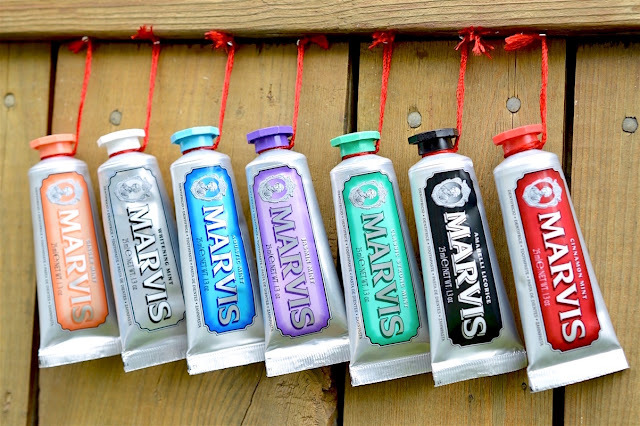 This "contemporary toothpaste" is a simple white paste, made with natural flavours and minimal ingredients. For the ultimate test, I gave my dad the two mint varieties to try out. He reported back with rave reviews, and we have agreed that the sweet, almost fruity flavour of Aquatic Mint is a cut above the Strong Mint option. This toothpaste foams up well and leaves your teeth feeling clean and your breath fresh. You could opt for the plain and simple flavours, or jazz it up with the licorice, ginger or jasmin tubes. I must admit that I'm not crazy for the Jasmin and Ginger flavours - I'm definitely more of a mint or cinnamon girl. But each flavour is very unique, which makes this a great set for sharing. I'm almost out of my tube of Whitening Mint, first featured in my Travel Toiletries Bag linked here. Next on my wish list? 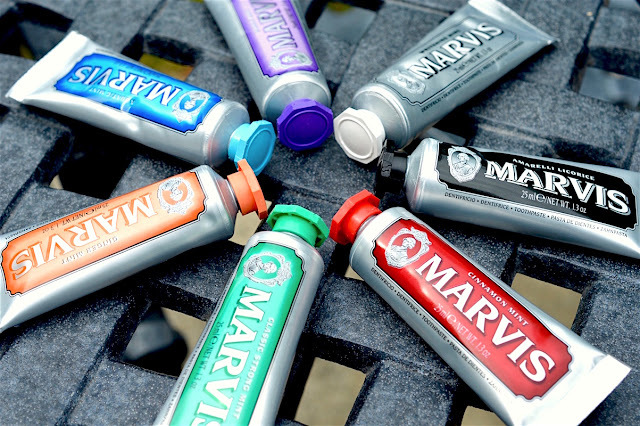 The Marvis Concentrated Formula Mouthwash. This alcohol-free liquid is a great find since you have to dilute it with water before use. It'll last for quite some time, so the $22 price tag is definitely reasonable. Especially compared to most bottles of mouthwash, this one is a work of art. 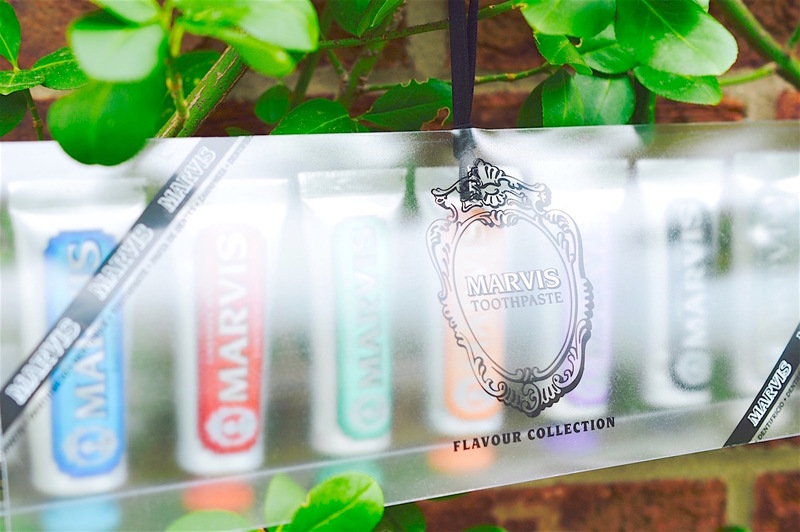 Marvis toothpaste is made in Italy and sold at Holt Renfrew. I received this set as a press sample.